Would you like to host a grand opening, ribbon cutting, or ground breaking ceremony? Check out our handy How To guide and checklist. You can download it HERE. And don't forget to contact the Garrett County Chamber of Commerce Membership Manager with details on your event! Membership Development Manager: nick@garrettchamber.com or call 301-387-5237. 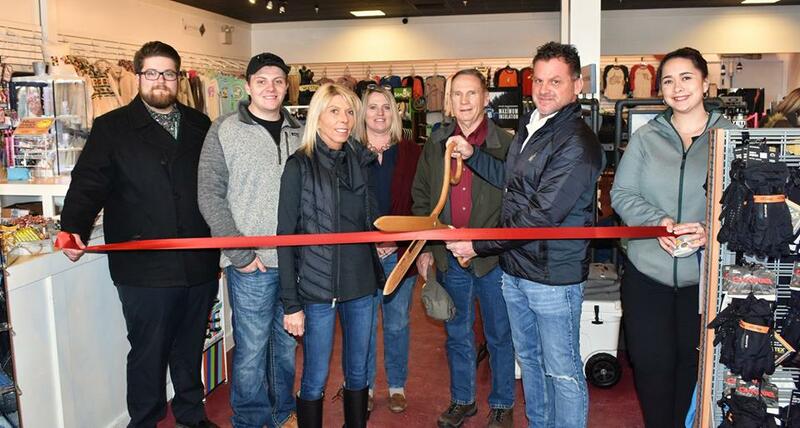 Today a Ribbon Cutting Ceremony was held for Tru South Inc dba DCL Outfitters in McHenry, Maryland. Local dignitaries congratulated owners Tim & Missy Ingram on this new endeavor and Garrett County Diplomat Chair Connor Norman presented them with a First Dollar of Profit Certificate. Tru South, located in Market Square next to Deep Creek Shop 'n Save, is your outdoor recreation and lifestyle store offering many name brands in the ski and water sport industry. You can view the member listing for Tru South dba DCL Outfitters in our online business directory HERE. On Tuesday, February 26, a ribbon cutting ceremony was held for Sipside Lounge in downtown Oakland, Maryland. Local dignitaries, including Oakland Mayor Peggy Jamison, spoke to congratulate Pat and Barb Franc on their new endeavor. Julianna Albowicz, a representative of Senator Chris Van Hollen, presented Sipside Lounge with a Senatorial Citation and Connor Norman, Chair of the Garrett County Chamber of Commerce Diplomats Committee, presented Pat and Barb with a First Dollar of Profit Certificate. Located right right in the heart of historic Oakland, next door to the Flipside Sounds vinyl-record store, Sipside Lounge is a relaxed venue to enjoy wine, liquor, and craft beer. Sipside Lounge invites you to unwind and take in the rare music artifacts on display. You can view the member listing for Sipside Sounds in our online business directory HERE. 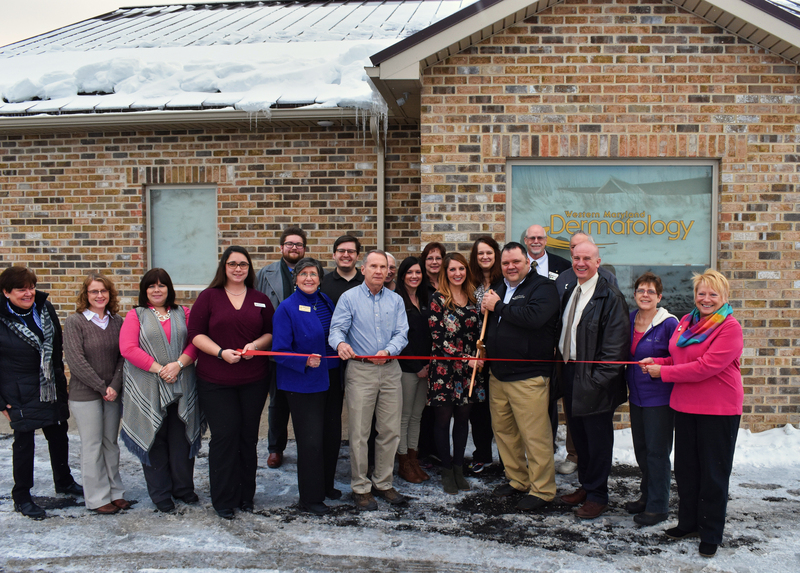 On Thursday, November 1 a Ribbon Cutting Ceremony was held to celebrate the grand opening of Grantsville Family Dentistry. Local dignitaries including Senator George Edwards, Grantsville Mayor Mark Diehl, County Commissioners Paul Edwards and Larry Tichnell, and Economic Development Director Mike Hough congratulated proprietor Holly Sisler, DDS on this business venture and thanked her for her investment in the community. Anne Davidson, member of the Garrett County Diplomats committee, presented Holly with a First Dollar of Profit certificate. Grantsville Family Dentistry provides comprehensive dental care for Garrett County and surrounding areas. You can view the member listing for Grantsville Family Dentistry in our online business directory HERE. On Friday, October 26, a ribbon cutting ceremony was held for the Grand Re-Opening of the Grantsville branch of First United Bank & Trust. Local dignitaries including Senator George Edwards, Delegate Wendell Beitzel, Commissioner Paul Edwards, and Grantsville Mayor Mark Diehl spoke to congratulate First United and thank the bank for its continued commitment to the community. You can view the member listing for First United Bank & Trust in our online business directory HERE. 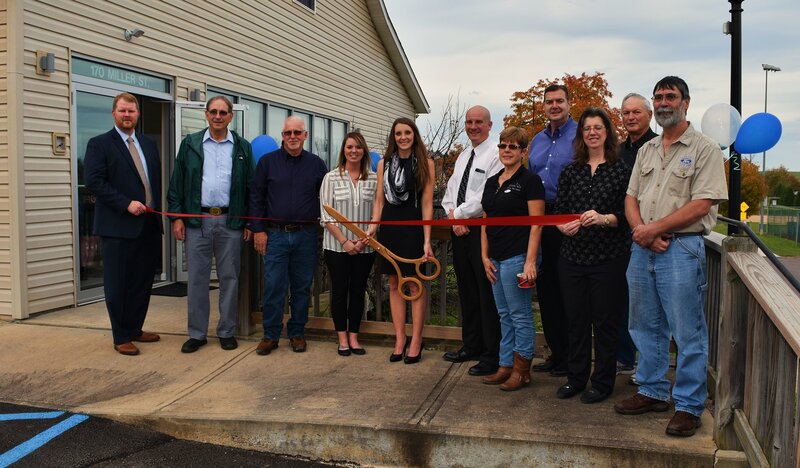 On Friday, October 19, Taylor-Made Deep Creek Vacations and Sales celebrated its 10th Anniversary and the Grand Opening of its new office addition. Local dignitaries gathered to congratulate the co-owners and Connor Norman, Chair of the Garrett County Diplomats Committee, presented Jodi Refosco with a certificate of recognition for Taylor-Made's 10th Anniversary. Taylor-Made Deep Creek Vacations & Sales is Deep Creek Lake’s largest vacation rental company and the area’s fastest growing real estate company. Offering over 370 quality vacation homes, you can choose from 1-9 bedroom properties with amenities like private pools, hot tubs, fire pits, game tables, and much more. Plus, many homes are pet friendly! Additionally, a team of seasoned real estate agents is available to help you find your dream home at Deep Creek. Property services are available for non-renting homes as well. 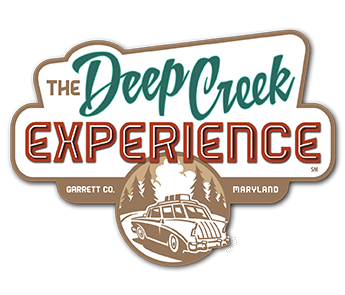 You can view the member listing for Taylor-Made Deep Creek Vacations & Sales in our online business directory HERE. 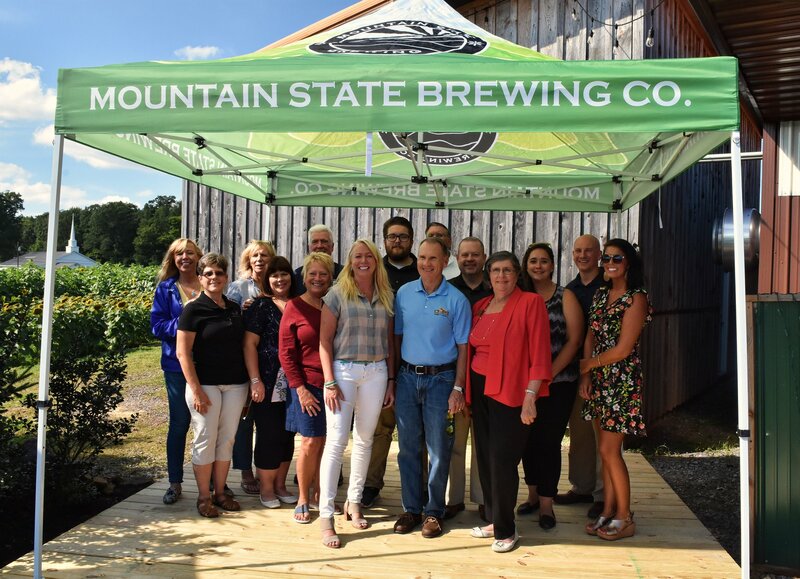 On Friday, August 24 a ceremony was held to celebrate the 10th Anniversary of Mountain State Brewing Company in McHenry, MD. Local dignitaries gathered to congratulate proprietor Erin Croake on the restaurant's success and longevity. Julianna Albowicz from Senator Chris Van Hollen's office and Robin Summerfield from Senator Ben Cardin's Office presented Erin with senatorial citations. Connor Norman, Chair of the Garrett County Diplomats Committee, presented Erin with a certificate of recognition for Mountain State's 10th Anniversary.  You can view the member listing for Mountain State Brewing Company in our online business directory HERE. 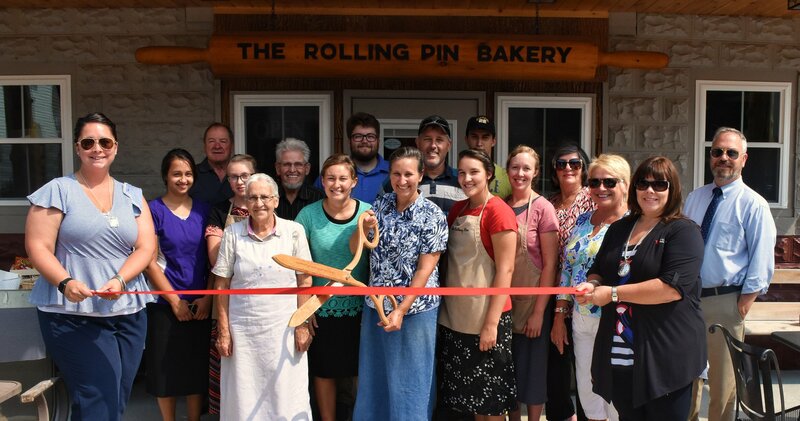 On Wednesday, August 16 a Ribbon Cutting Ceremony was held for The Rolling Pin Bakery in Accident, Maryland. Local dignitaries welcomed owners Glenn and Rachel Maust to the business community and congratulated them on this new endeavor. The Rolling Pin Bakery has fresh donuts 3 times a week and many other bake goods. We also have fresh deli meats and cheese, hot and cold sandwiches, coffee and an assortment of many other drink, etc. To learn more about this member, check out their listing in our business directory HERE. 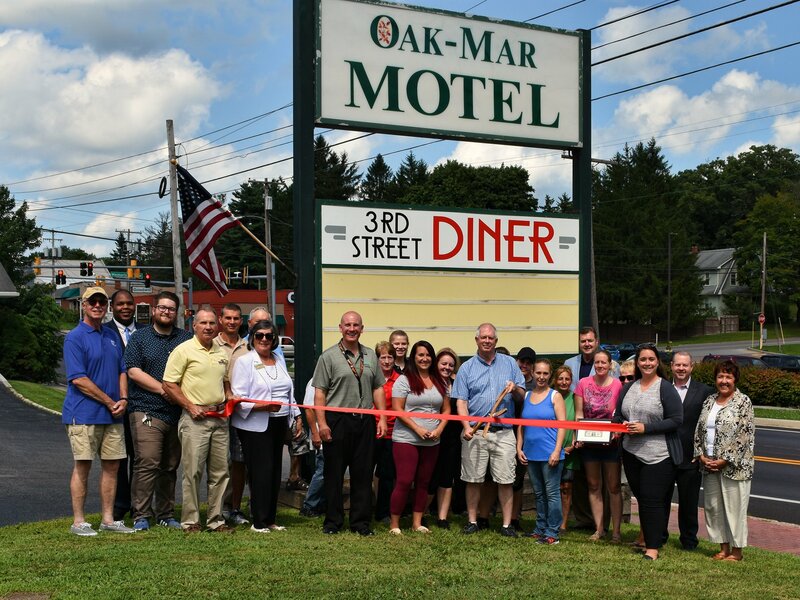 On Wednesday, August 8 a Ribbon Cutting Ceremony was held for 3rd Street Diner in Oakland, Maryland. 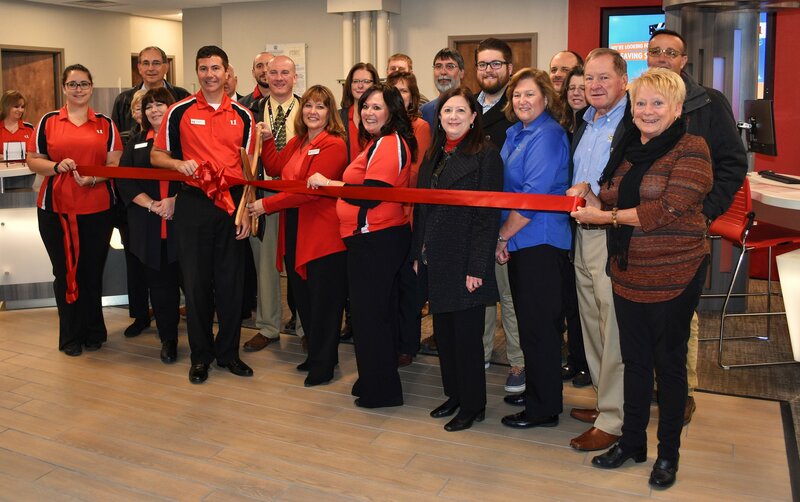 Local dignitaries welcomed co-owners Andrew Fike, Brittni Brown, and Lacey Harvey to the business community and congratulated them on this new endeavor. 3rd Street Diner is a very casual family restaurant offering breakfast all day, burgers, various platters, and fresh made salads. 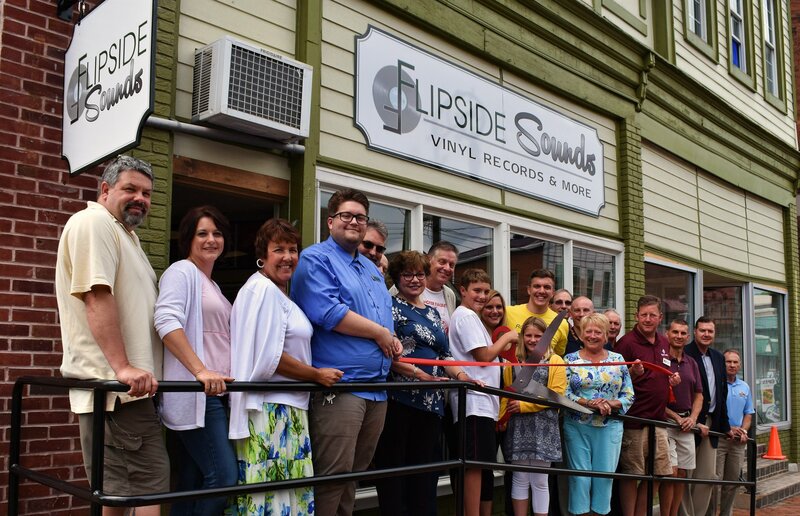 On Friday, July 6 a Ribbon Cutting Ceremony was held for Flipside Sounds in Oakland, Maryland. Local dignitaries welcomed proprietor Pat Franc to the business community and congratulated him on this new endeavor. Flipside Sounds invites you to rewind or fast forward into the wonders of vinyl records! This retail vinyl record store offers turntables, headphones, themed t-shirts, memorabilia and collectibles. On Friday May 18, a Ground Breaking Ceremony was held by Mountain Laurel Medical Center to celebrate the expansion of their state-of-the-art facility. Local dignitaries spoke and congratulated Mountain Laurel Medical Center and share in the excitement of their continued growth. Mountain Laurel Medical center's missions is to provide quality, safe, accessible, evidence based primary health care, wellness promotions, and education to all individuals in Garrett County and surrounding areas in a patient centered manner regardless of insurance status. On Friday May 11 a Ribbon Cutting Ceremony was held for Discount Duo in its new location 12439 Garrett Highway, Oakland, MD. Local dignitaries spoke to welcome the Brian Bowers & Robert Beckman and congratulate then on this endeavor. Discount Duo offers quality liquidated retail merchandise at discount prices. They are a one-stop shop with something for every household and style. 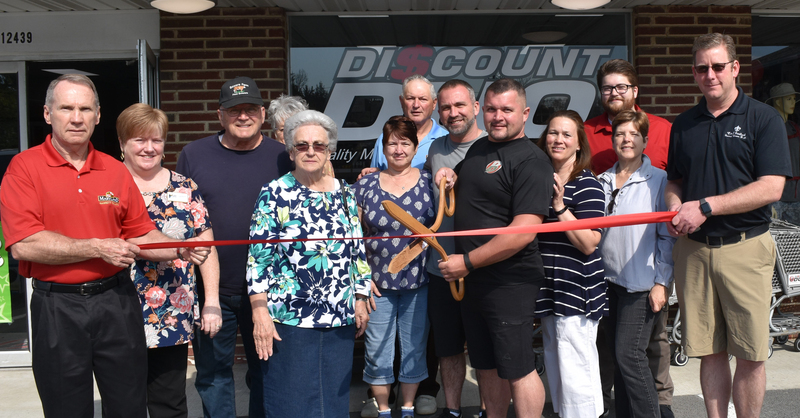 Discount Duo’s grand opening was May 11 & 12 with giveaways and refreshments. On Thursday April 17 a ribbon cutting ceremony was held for Garrett Regional Medical Center's Health Information Management office in its new location at 507 East Oak Street in Oakland. Local dignitaries spoke to welcome the newly renovated facility in downtown Oakland as well as the Growth of Garrett Regional Medical Center. The hospital’s Health Information Management team works with physicians to ensure medical records meet guidelines and requirements. On Thursday March 29 a ribbon cutting ceremony was held for Brookside Health & Wellness in its new location 6500 Thayer Center, Oakland, MD. Local dignitaries spoke to welcome the Rachel Friend-Lantz and congratulate her on this endeavor. 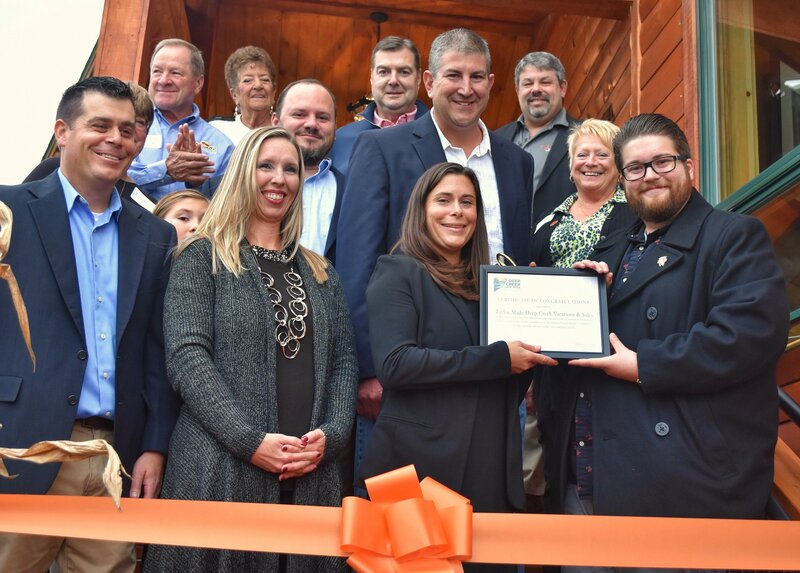 Brookside Health & Wellness is dedicated to assessing, diagnosing and treating all patients..
On Friday March 23 a ribbon cutting ceremony was held for Ella's Enchanted Treehouses in its new location in Bittinger, Maryland. Local dignitaries spoke to welcome the new proprietors and congratulate them on this endeavor. Nicole Christian, President & CEO, of the Garrett County Chamber of Commerce, presented owners Casey, Stacie & Ella Griffith with a First Dollar of Profit Certificate. You can learn more about MLEND by visiting the member listing on our website HERE.